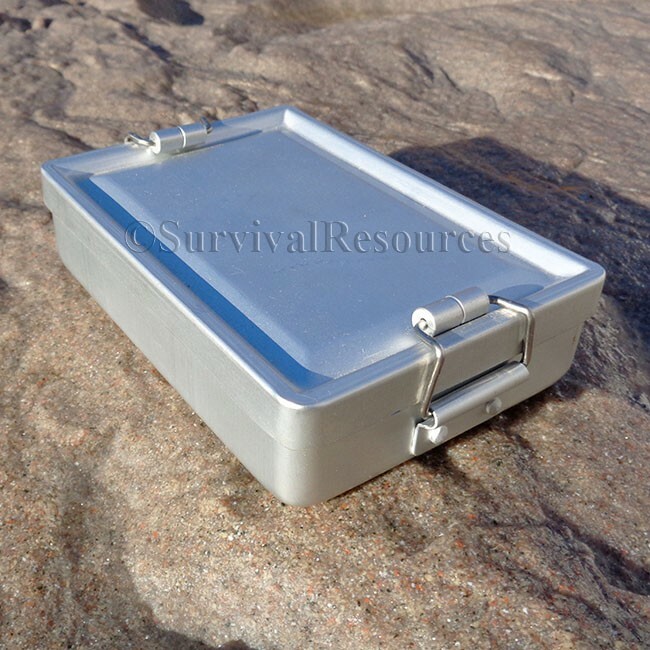 This is one of our favorite survival tins. The problem with many reviews that we see on personal survival kits is the container is less than quality. 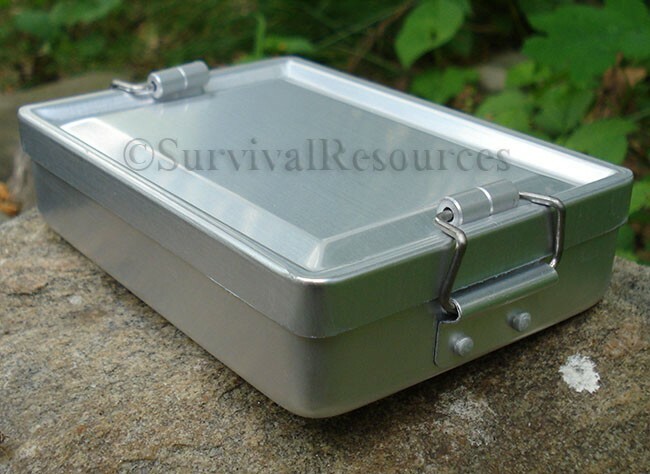 This survival tin is a quality container that is perfect for building your own survival kit in. This is a super lightweight, airtight aluminum tin with locking roller clasps and features a rubber seal within the lid. Measures 5" long x 3.5" wide x 1" high (inside) 1-1/4" (outside). Weight: 4 oz.